Livingston FC will not make any further appeal against their demotion to the Scottish Third Division for breaking league insolvency rules. Livingston Football Club will not make any further appeal against their demotion to the Scottish Third Division for breaking league insolvency rules. An appeal to the Scottish Football Association against the Scottish Football League’s decision to drop the West Lothian club by two divisions was rejected yesterday and club chairman Gordon McDougall says the Lions have now accepted their fate. McDougall, who is part of the Livingston 5 consortium which purchased the club from Italian owner Angelo Massone in July, said the mood around the club was still positive and that everybody is now ready to move forward. “I’ve got to say the atmosphere is very, very good. There is an element of clearance that it has all been sorted and all the doubt is away,” said McDougall. 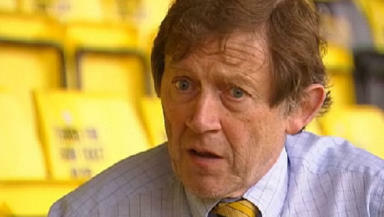 McDougall also revealed that the decision to relegate Livingston will result in a financial hit of around £250,000, which the chairman puts down to a loss of revenue resulting from a reduced number of opposition fans travelling to Almondvale Stadium for matches. That loss was offset slightly by the announcement that the club had signed a kit sponsorship deal with local firm Fasteq. Livingston will continue their Third Division campaign with a home match against Elgin City on Saturday, but will await news on whether they will be deducted points for refusing to play their opening game against East Stirlingshire.